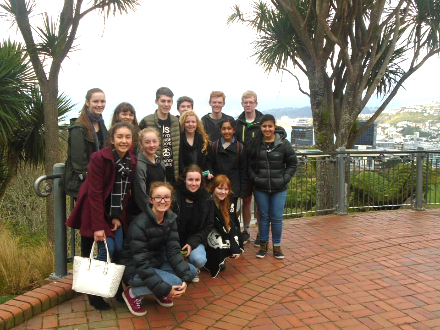 Year 9-12 tauira taking Te Reo Maori ventured to Waitangi on Thursday 24 September. 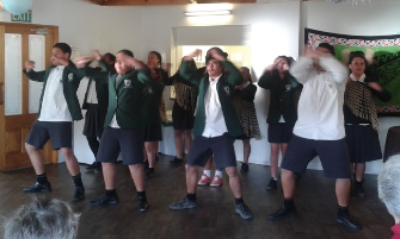 The group, accompanied by Whaea Maihi and Whaea Leauga experienced a Powhiri by the tangata whenua and responded with our Lynfield School haka! 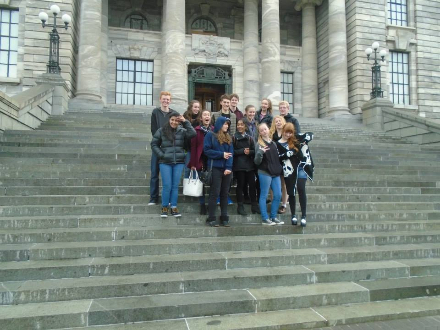 A fantastic day learning about the Treaty, Maori culture and Maori and Pakeha race relations. 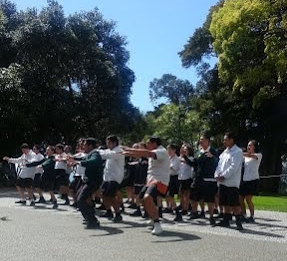 On Monday 11 May Mrs Leauga took 6 senior Te Reo Maori students (and 1 junior Kapa Haka student) to Blockhouse Bay Primary, where they taught children how to weave. Our students enjoyed their time with the primary school students and the latter had a great time too. A letter from a Blockhouse Bay Primary staff member says..
"Thank you so much for arranging for your students to come. They were excellent. Our children learnt a lot from them and your students had a lovely mix of manners, social skills and knowledge that they shared with the children so well. 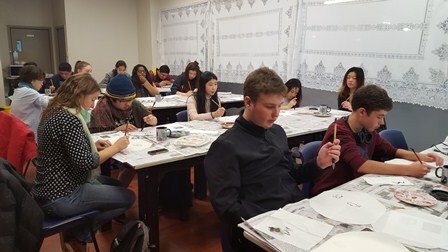 We are trying to enhance our Maori curriculum here and this experience was definitely part of that. I think it's great to make links with your college and I hope the girls got a lot from the experience too. I hope we can continue these links into the future." He mihi mo to koutou mahi! Well done girls! 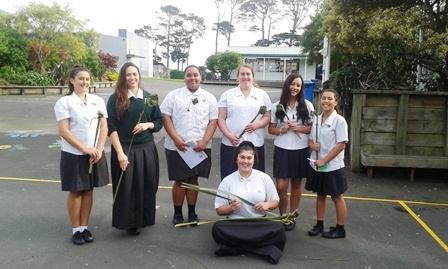 Sabrina Subritzky-Cowen, Chadeney Mcmanus, Olivia Riggs, Charlotte Cowie, Jordan Tamatea, Amaia Kiripatea-Gage and Shanaia Panapa-Ruri.